Blinkbox, the on-demand video business owned by Tesco, is offering a novel promotion in conjunction with Season 4 of ‘Game of Thrones’. The offer will expire at the end of July and your free pizza must be collected by April 3rd. 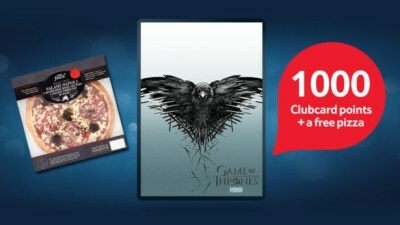 This deal may make sense purely for the points, especially if you would be buying pizza from Tesco anyway. Those Tesco Finest pizzas cost £5 usually …. You can learn more on the Blinkbox website.